Drawing from his 35 years experience as an instructor and technical writer in the field, the author provides instructors, students, and professionals with a wealth of welding technology in a readable and comprehensive handbook. • Describes-in detail-the technology and manipulative procedures for making successful welds in all welding positions, types of joints and metals. 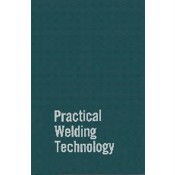 • Offers hundreds of hints on how to solve every on-the-job welding problem.